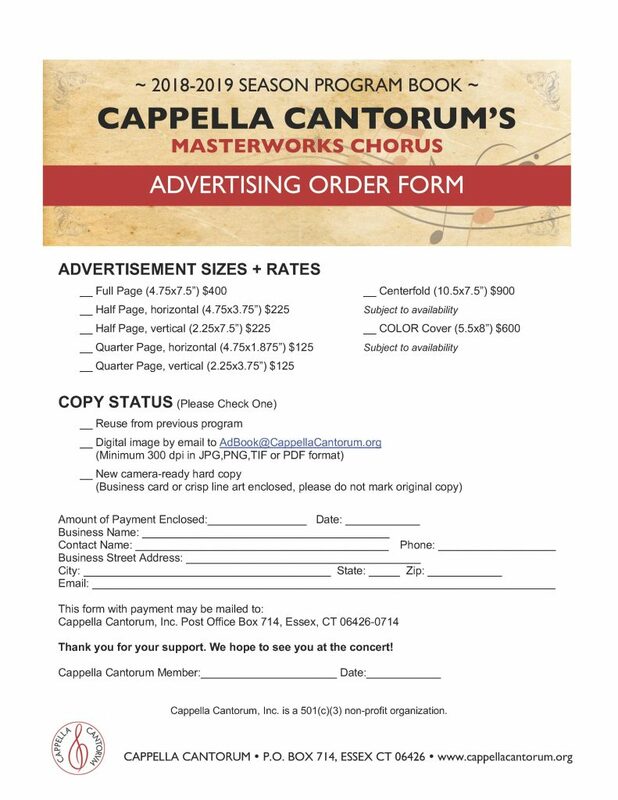 Advertising Order Form below to open and print. Please note that ad copy or artwork is due by October 30, 2018. Payments can also be made online, from our website here.